Looking for a great place to take Mom to for Mother’s Day? Bring her to another wonderful production presented by the Coffee House on the Rocky Plain. On Saturday, May 12 we will bring you a great show featuring Kate Chadbourne, Ryan, Ortolani, and Fleming who are opening for The Mood Elevators. This promises to be our best show of the year, arrive early to get some home baked desserts and a good seat. Doors open at 7pm and the show starts at 7:30pm. Ryan & Ortolani have been performing together since the turn of the century. This duo is a versatile group who combine decades of musical experience to produce some of the sweetest harmonic and rhythmic sounds around. 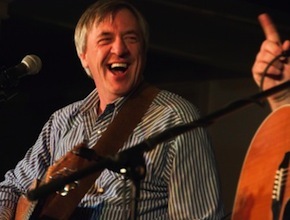 You may hear catchy original tunes, American acoustic classics, country blues, Celtic covers, swing and jazz standards… depending on their mood and what their audience wants to hear. Most recently, the talented vocalist Melissa Fleming has been joining them on stage, adding even more depth to their harmonies, making them a trio worth hearing. 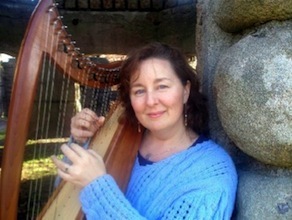 Kate Chadbourne is a singer, storyteller, and poet whose performances combine traditional tales with music for voice, harp, flutes, and piano. She holds a Ph.D. in Celtic Languages and Literatures from Harvard where she teaches courses in Irish language and folklore but the heart of her understanding of Irish folk tradition comes from encounters with singers, storytellers, and great talkers in Ireland.